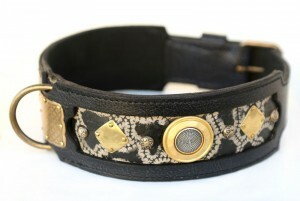 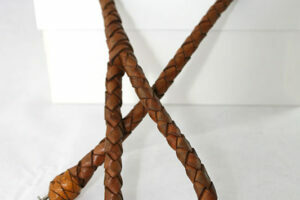 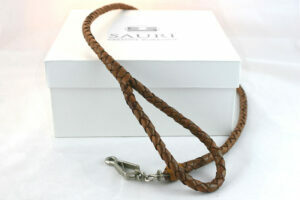 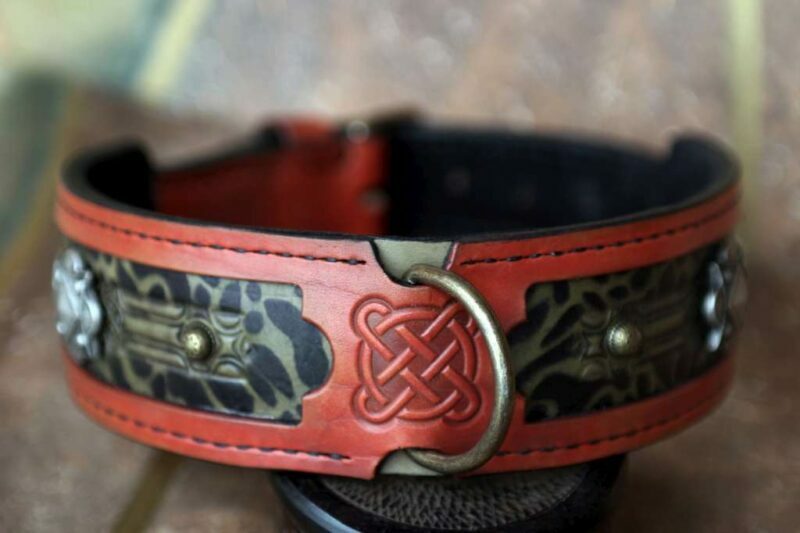 Terracotta Jaguar leather dog collar is designed for large and powerfully built dog breeds e.g. 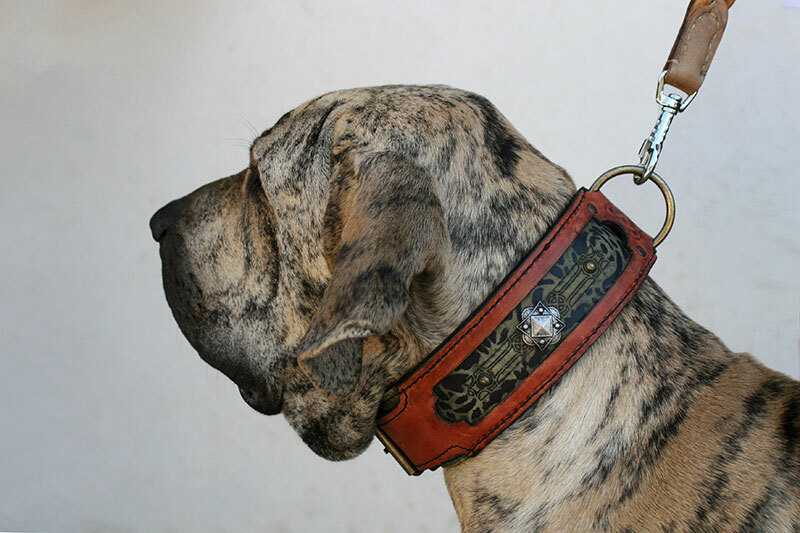 English mastiff, Boerboel, Tosa Inu, Neapolitan mastiff, Dogo Canario etc. 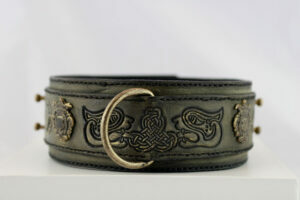 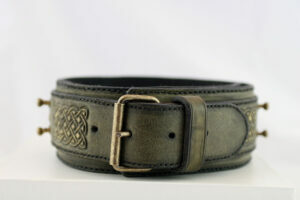 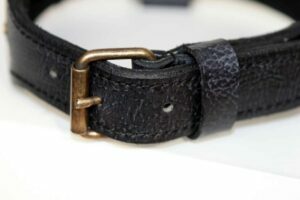 The collar is very strong due to leather and hand stitching. 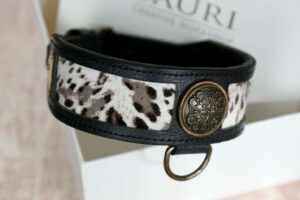 SKU: UC006 Categories: Featured, Leather Dog Collars Tags: Dog walking, Embossed leather, Fancy leather, Giant dog breeds, Handprinted, Large dog breeds, Uniquely designed Brand: Workshop Sauri | Leather dog collars. 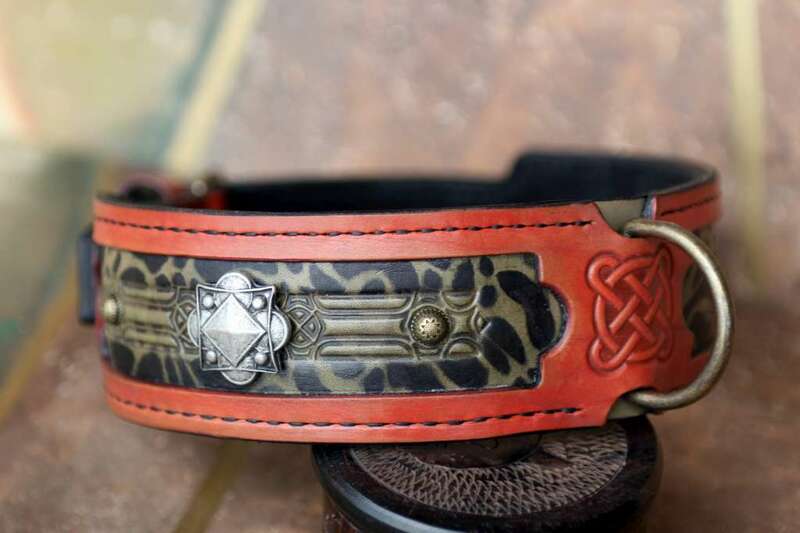 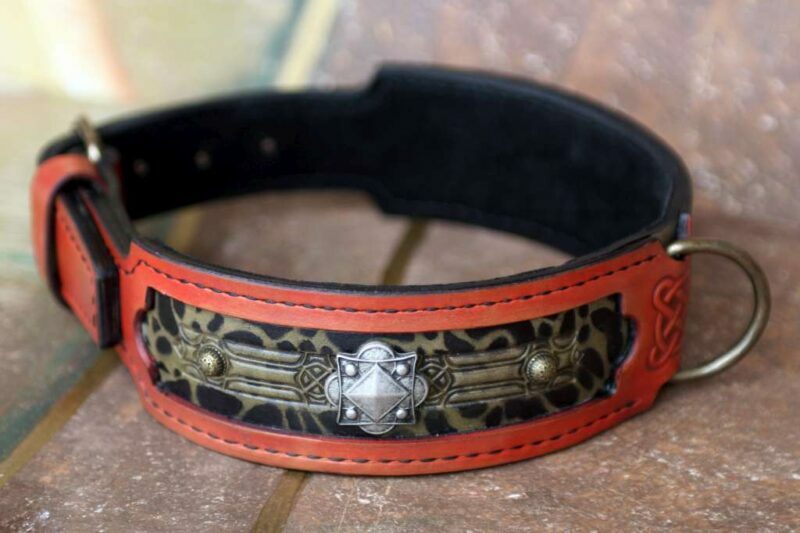 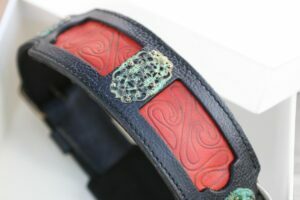 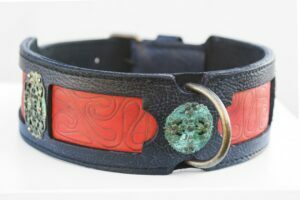 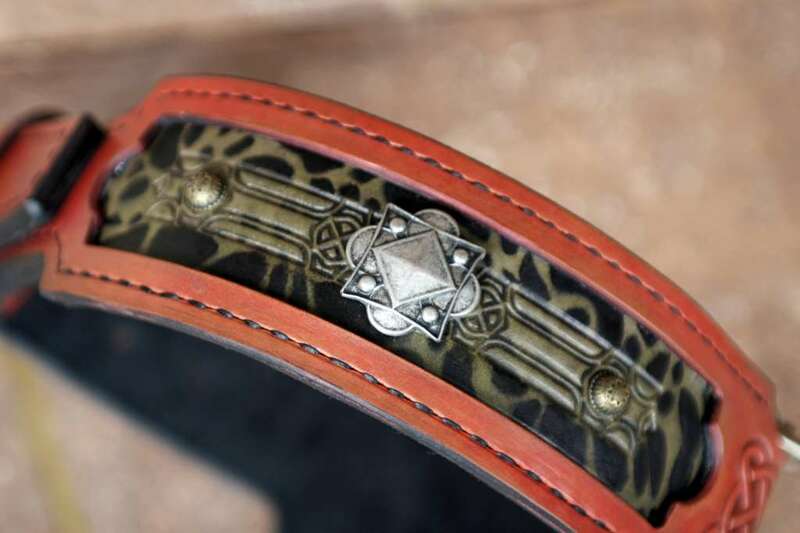 Terracotta Jaguar leather dog collar with unique greenish hand printed underlayer and beautiful medieval looking ornamentation. 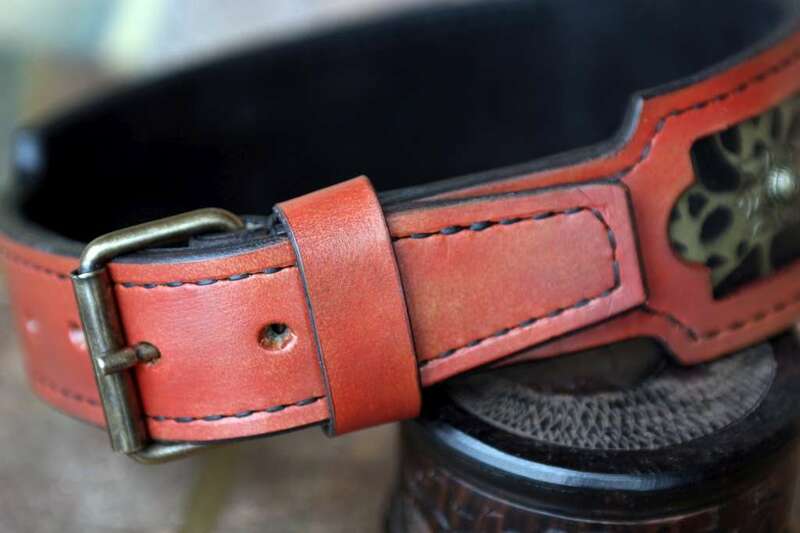 Hand sewn and durable: composed of 3 layers, each 4mm thick, with strengthened areas of the largest pressure (around the buckle and D-ring). 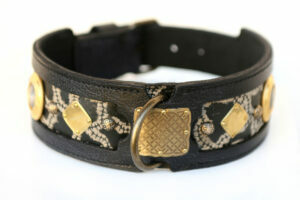 Very comfortable to wear: firmness of the collar doesn’t lessen the dog pleasure of wearing it!